The Wright Cottage Court is located in Kill Devil Hills between Kitty Hawk and Nags Head on the Outer Banks of NC. We offer 2 to 6 bedroom cottages for family fun-filled vacations! You’ll find us directly north of our Days Inn Oceanfront Wright Brothers—we’re always happy to host large or small family reunions! All cottages feature fully equipped kitchens to cook up your Outer Banks fun! All kitchens contain: stove/oven, microwave, refrigerator, coffeemaker, toaster, pots, pans, dishes, & silverware. Come year-round as all cottages also have heating or air conditioning as well! We have nightly or weekly reservations available. All cottages have cable TV -but with so much beach to enjoy you won’t want to watch any TV! Guests have access to the outdoor pool next door at our Days Inn, and of course we have our own beach access. Many of our cottages also have decks on which you can kick back and relax. Many of our cottages are pre-reserved a year in advance because families love returning year-after-year, so it’s always a good idea to book well in advance for the season! All of our cottages are comfortably situated with double, queen, or king beds. Unlike many rental companies on the Outer Banks, we are happy to offer FREE linen set up for our nightly or weekly guests. It’s just one less thing you have to pack for your getaway. 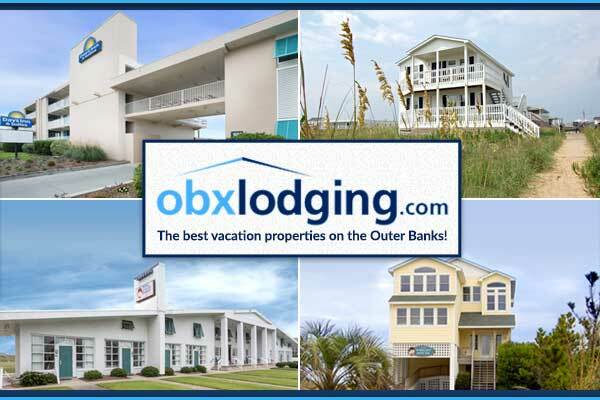 We are centrally located to all Outer Banks attractions—we are less than a mile away from the Wright Brothers Memorial.